Atypical season 2 released last Friday. It follows Sam Gardner, a child on the spectrum, who decides he wants to go to college. The cast consists of extremely talented actors like Jennifer Jason Leigh, Keir Gilchrist, Michael Rapaport, Brigette Lundy-Paine and more. Atypical season 2 is surprisingly, a massive improvement over season 1. It takes everything I loved about the first season like the humour, the characters and the relationships and improves on each of those aspects. One of my favourite parts about this season is how we get to see more of the other Gardners. They all played a much bigger role this time and had fully fleshed out arcs with more depth than last season. I really liked how they showed the implications of Elsa’s affair last season. The interactions between her and Doug throughout the season was fantastic and honestly one of my favourite parts. Then there is Casey’s arc. I really loved what they did with her this season and her relationship with Evan is yet again, one of my favourite parts of the show. I also really loved the dynamic she had with the new character Izzy. And then that brings me onto the new additions to the show. Izzy in my opinion was an absolutely fantastic character and they leave the show on a cliffhanger with her and Casey and I’m interested to see how it complicates things next season. There is one scene in Casey’s room which is when this whole arc starts. The execution is brilliant. I was also a fan of the kids from the spectrum they decided to add. Everything they did with the group this season was yet again well executed. That brings me on to my favourite part of this season, Sam’s arc. I really love how they made him grow as a character. I like him more and more every episode and he is definitely my favourite character now. The use of narration in the show is really effective as we get to see the character’s inner thoughts and that makes the show more impactful. Can we take a moment to appreciate Zahid? Niko Dani is absolutely fantastic in this role! He is still one of the funniest parts in my opinion and I adore his character. Almost everything he does is funny and I hope he gets an even bigger arc this season. Part of the reason for this were the character interactions. I’ve always believed that this is the most important part of a sit-com and it was one of the strongest points this season. I loved the interactions between Casey and Evans and Zahid and Sam. But, my two favourite relationships were Casey and Elsa and Casey and Sam. Casey and Sam just feels so realistic for a sibling relationship and that was great. The whole Elsa and Casey arc was also quite emotional and yet again, the showrunners executed the storyline very well. However, the season isn’t perfect. It’s quite inconsistent, as some episodes are much better than others and the pace can feel a little weird. In my opinion, it didn’t ruin the show that much but I can see others having a problem with it. Furthermore, I wasn’t a fan of Paige this season. I actually liked her character last season but this time, she came across as super annoying to me. The actress does a good job but I didn’t like the way she was written this season. Hopefully, they can improve this for next time. Even though it ends with good set-up for season 3, the finale as a whole is not the best. It just isn’t as funny as is honestly the show’s worst episode so far. It does a decent job setting up season 3, but unfortunately, the rest of it is a drag. The graduation scene did not come off as funny to me at all. 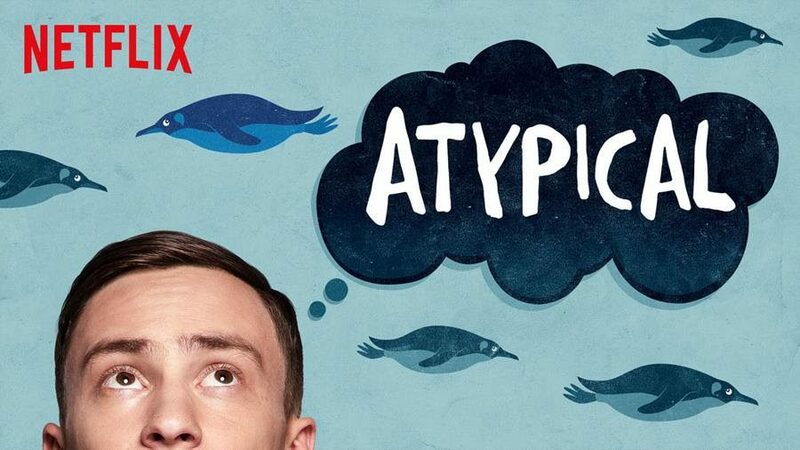 To conclude, Atypical season 2 is an improvement on last season due to more fleshed out character arcs, funnier writing and brilliant character relationships. However, it does suffer from a mostly poor finale and a bit of inconsistency. I’m going to give Atypical an A- for season 2.